Though 30 year-old Grace Couch had to briefly put aside her dream of becoming a nurse, she has never given it up. Following stints at City College of New York and Queensborough Community College, Grace is now earning a Bachelor of Science in Nursing from Hunter College. Her journey to this point involved hard work, perseverance, and a scholarship boost to keep her on the path towards her passion. Grace came to the United States with her family from South Korea when she was eight. Her parents decided it would be better to raise their three children in America after her father’s business failed. The family settled in Washington State. “At that time, my siblings and I were really young so my mom stayed home to take care of us and my dad did pretty much anything. I remember he used to work in the morning as [a] cashier and at night he worked as a cleaner,” she says. In a strange, new environment, Grace had initial trouble with adapting: “there were no Koreans in the part of Washington I went to. It was really scary and I even had nightmares about speaking English at that time.” However, as an open-minded child, Grace easily made friends and picked up the language quickly. Her family eventually moved to New York, where high school posed another challenge for Grace. She says, “It was pretty tough because I went to a science high school and everybody was pretty smart there – it’s very academically challenging. And by the time I got to my junior [or] senior year, I didn’t see the point of studying…because I thought I couldn’t go to any college. I can’t get financial aid, I can’t get any loan.” She was always aware of her status, but didn’t feel the impact until she was applying to colleges. TheDream.US Scholarship faciliated her transfer to Hunter College and lifted a burden. “When I was going to [QCC], I was studying nursing, [which] is not exactly easy, and I had to work while going to nursing school. It was pretty tough. But now, I can really focus on my studying. My first semester at Hunter, I got an A in everything, which was really awesome,” she says. She goes on, “I’m really shy – I don’t like public speaking. And my whole life, I’ve been hiding.” However, in May 2015, Grace took the chance to come out of hiding when CUNY hosted a Chancellor’s Reception for TheDream.US scholarship recipients. There, she shared her inspiring story with quite a large audience of her professors and peers. 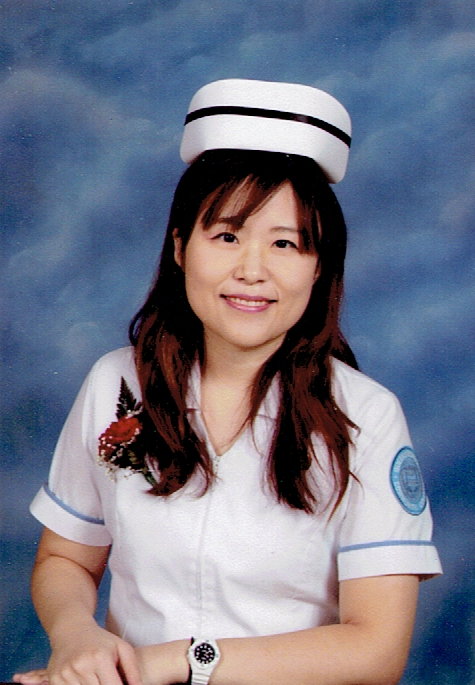 Now, as a licensed nurse, Grace has made her family incredibly proud, and is planning to go after a Master’s degree. She is well on her way to achieving her dream of helping those sick and in need, as well as someday educating future nurses.